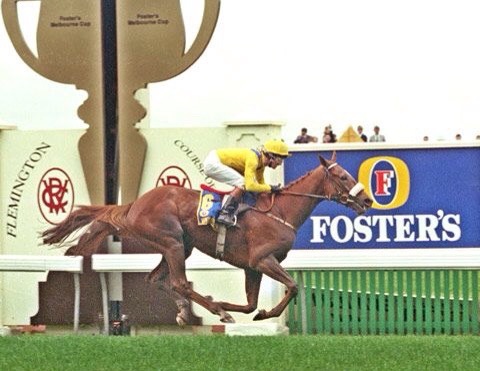 Its the first tuesday of November and the Melbourne Cup, the race that stops a nation is due off at 4am Irish time. The big question is , will you get out of bed for it? With 10 of the 23 runners racing under the banner of “northern hemisphere” gone are the heady days of Dermot Weld, Vintage Crop and Mick Kinane tilting at windmills and actually winning!!!! With Willie Mullins supplying 3 runners, Thomas Hobson, Wicklow Brave and Max Dynamite the Master of Closutton, Co Carlow may just write his own page of history. Not far away in Piltown, Co Kilkenny, Joseph O’Brien has mapped out this race for Rekindling and US Army Ranger while his father Aidan high on his record Group 1 exploits bids for further honours with Johannes Vermeer. When you add three runners from Britain, Marmello, Wall of Fire and Nakeeta in addition to Red Cardinal for Germany and Tiberian for France it might just be worthwhile to set the alarm clock and make it to a television. 6 of the first 8 in the betting from William Hill are from this part of the world, so the odds seem good. It will be a spectacle one way or the other and while none of them might be Vintage Crop or Makybe Diva , my pick just could be Tiberian at 28/1 for Alain Couetil and Olivier Peslier. We thought that we might just share an image or two from our recent past to remind all of us that they haven’t gone away you know! 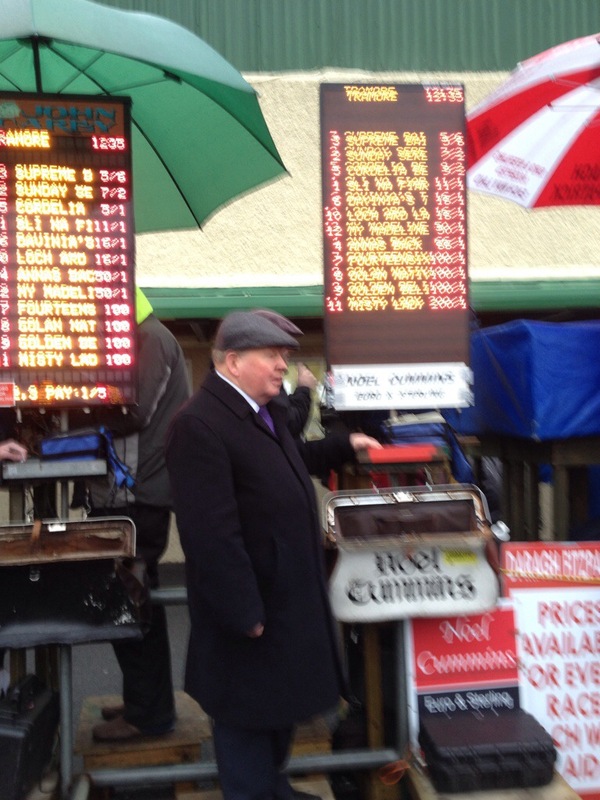 Cheltenham Day 4…..you just have to hope! Its been a struggle to find a decent winner this week so lets go out with Landofhopandglory in the 1.30 Triumph Hurdle for Joseph O’Brien and Robbie Power. Cheltenham Day 3…. Take the right line! With winners hard to come by lets go for Toe The Line in the 4.50 today for John Kiely and Denis O’Regan. Cheltenham Day 1,Conquer and Brave. Vroum Vroum Mag takes her place today in the Mares Hurdle but my two fancies are e/w chances with Wicklow Brave in the 3.30 Champion Hurdle ridden by Paul Townend and Go Conquer in the 2.50 ridden by Aidan Coleman. 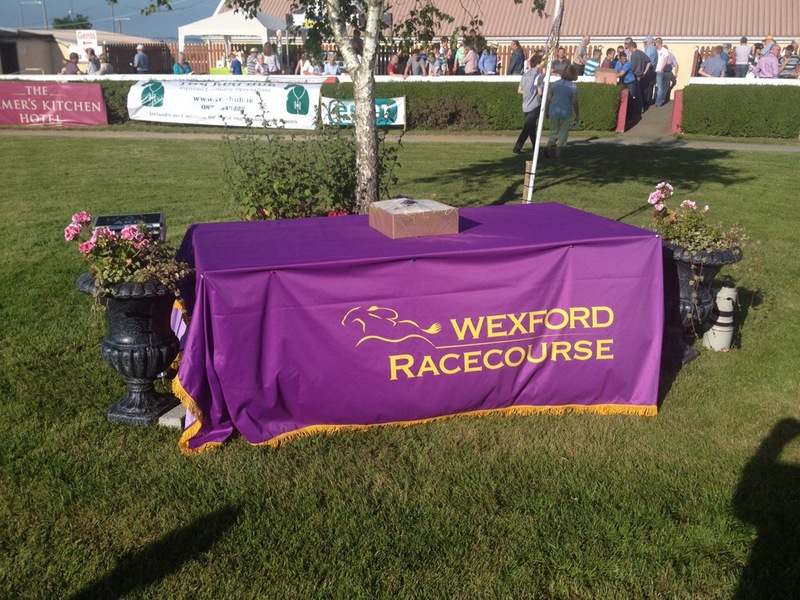 Wexford brings its summer season to a close with some Good to Firm going! The Summer race season at Bettyville came to a close on Saturday afternoon the 30th with a low key all flat race card on offer at Wexford Racecourse. With a going description at best of ,good , during the week , an overnight change of going saw Good to Firm added leading to 11 withdrawals before race time. Perhaps the racing authorities got it wrong at the declaration stage, but many trainers took the opportunity to withdraw their horses, once the word firm was added. Given the fact that only 66 horses were declared it was pretty clear that any wholesale level of withdrawal’s would decimate the card, with the racing authorities responsible for the outcome. With no watering of the track evident to my eye, added to a warm sunny day and drying wind blowing across the track all ending up with a 20% withdrawal making many of the races potentially a little on the non competitive side. Did they declare the wrong Going ? Was it not already good to fast in places on Friday?Were they praying for overnight rain ? Fortunately for racecourse management , some exciting and interesting racing was served up with 4 winning favourites and a double a piece for trainer David Wachman and jockey Seamie Heffernan. With a fiver per person entry and a nice afternoon weatherwise to tempt the race going public the attendance struggled to reach reasonable levels let alone break any records. The most valuable race of the day opened proceedings with the Irish Stallion Farms EBF Fillies Maiden. Six faced the starter in this 1 mile plus race with Co Tipperary based David Wachman taking it with Que Sera Sera. This Dansili 3 year old went off the 11/4 favourite following the withdrawal of Dermot Welds Comtesse and built on her previous placed efforts to open her account here. Another track winner in the colours of JP McManus this filly was settled in behind the leader Celestial Fable by her jockey Fran Berry with them taking control 2 furlongs out to win comfortably in the end. Wachman was absent on the afternoon and he missed seeing a nice double for his yard when Mr Rock justified his prohibitive odds of 11/4 on in the hands of Wayne Lordan. This 3 year old by Galileo was never in any danger with the Michael O’ Flynn owned and bred horse putting his four rivals to the sword. It would be no great surprise to me if he saw a hurdle or two in the future, but thats just speculation. Ten runners faced the starter for the 1 mile 3 and a half furlongs of the Childrens Day at Bettyville Handicap with previous course winner An Fear Ciuin favourite to give Wachman and McManus another winner on the day. This horse didn’t however get in a blow at the business end of the race with Unrequited passing the post the comfortable winner for Ger Lyons and Colin Keane.A 13/2 chance , the 3 year old by Authorised is well thought of in the Lyons yard and is “A nice staying horse for the future” according to stable representative Shane Lyons. Unfortunately for all concerned celebrations ended swiftly as winning jockey Colin Keane didn’t weigh in. With the race awarded to Coolfighter, Seamie Heffernan got the first leg of his double in place in most fortunate circumstances. 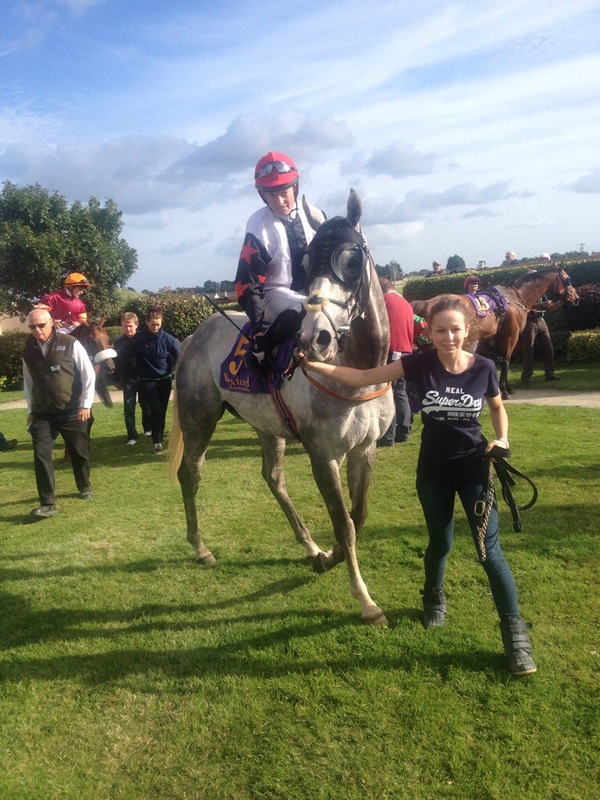 The 6 year old Black Sam Bellamy horse won twice at the Tramore Festival meeting earlier in the month and recently acquired by Noel Dooly he was giving his Co Wexford based trainer a second win in two weeks. No doubt he hopes to add a few more for his new owners. Heffernan is a most capable jockey and has long been a part of the Aidan O’Brien team at Ballydoyle with his services much in demand from outside yards, particularly the smaller ones. Two miles around Wexford on a horse with a stable reputation “as a bit of a Boyo” can lead to some interesting outcomes , but Heffernan rode the 7 year old Verglas gelding Magnetic Force to perfection for Robbie Hennessy’s Co Meath yard at 16/1. 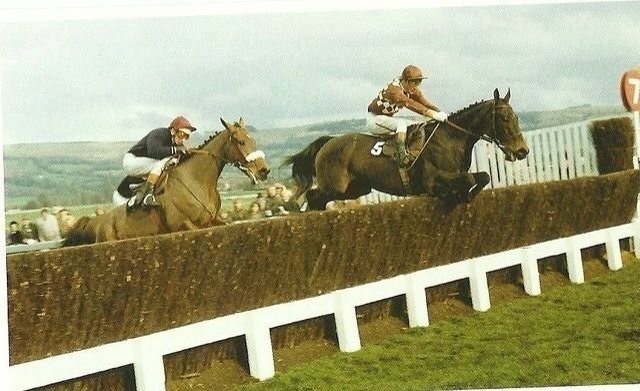 With the well supported grey horse , Greatness ,from the Tony Martin yard getting a lot of attention from his handler fading very quickly in front 3 furlongs from home, it was Heffernan and Magnetic Force that opened up an unassailable lead to win. Jim Bolger is always keen to have a winner in his native county and he despatched Gold Focus from his Co Carlow yard in an attempt to add to her Ballinrobe win on the previous Wednesday night. This fine rangy 3 year old Intense Focus filly came from off the pace to get up under a strong ride from Ronan Whelan to win the Wexford Apprentice Handicap. The Shelmalier Qualified Riders race was a three runner affair over 2 miles with Katie Walsh taking the honours on the Peter Fahey trained Alton Bay. This 6 year old son of Pushkin went off the 3/1 outsider of 3 and came home in front having being well handled by Walsh. Biding her time behind Macnicholson and Totally Dominant , the Co Kildare trained horse won comfortably”He switched off lovely today. He is a good horse and could be a nice novice hurdler in the spring” according to Fahey. With Patrick Mullins taking the concluding Enniscorthy Mares Bumper on Morning Run at 3/1 on it will be interesting to see if the Kings Theatre mare can be as good as a previous winner of this race Annie Power! We will have to wait and see. A letter for Tramore in seven easy steps! Mid August is the traditional Irish holiday time with the 15th of August marking the end of summer. 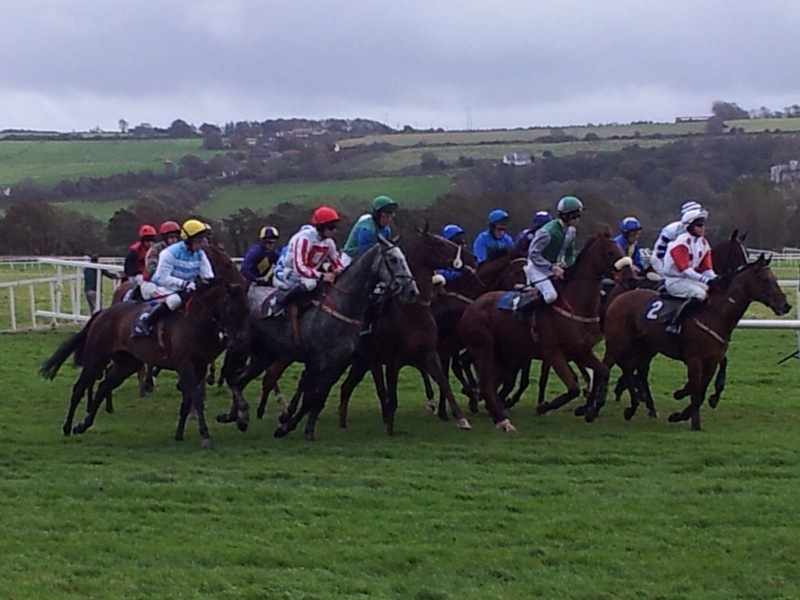 Tramore Racecourse has long held this date with a racing fixture at the Co Waterford track. Now extended to a four day festival this meeting offers a mixture of flat and national hunt racing at the seaside venue. With good ground on offer and a sharp , tight track facing everyone , horses with a bit of previous form at the venue are worth a look. So for anyone interested lets spin through Tramore and highlight a horse or two with my letter for Tramore in seven easy steps! 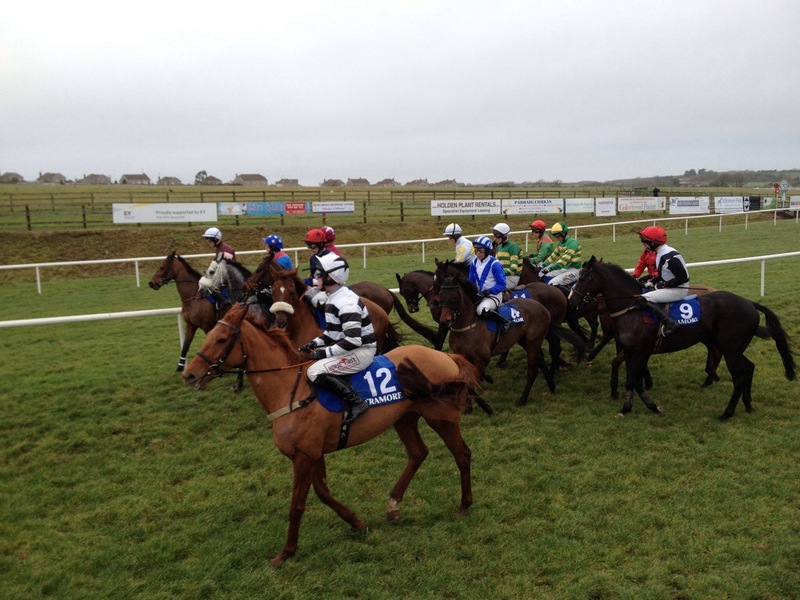 Thoonavolla a 6 year old son of Beneficial has run well on his last two runs at Downpatrick and Ballinrobe. Trained in Mooncoin, Co Killkenny by Eoin Doyle this horse while still a maiden tries his hand here over fences and could just win on the 15th. He will lack for nothing with Brian O’Connell in the saddle, and may have most to fear from John Queally’s Darwins Theory or Paul Nolan’s Behemoth. Run Fly Run comes from the all conquering Willie Mullins yard with the Kalanisi 5 year old likely to run on the 17th in an amateur maiden hurdle. Mullins has a strong link to the track as one of its Directors and will have a good team of horses competing. 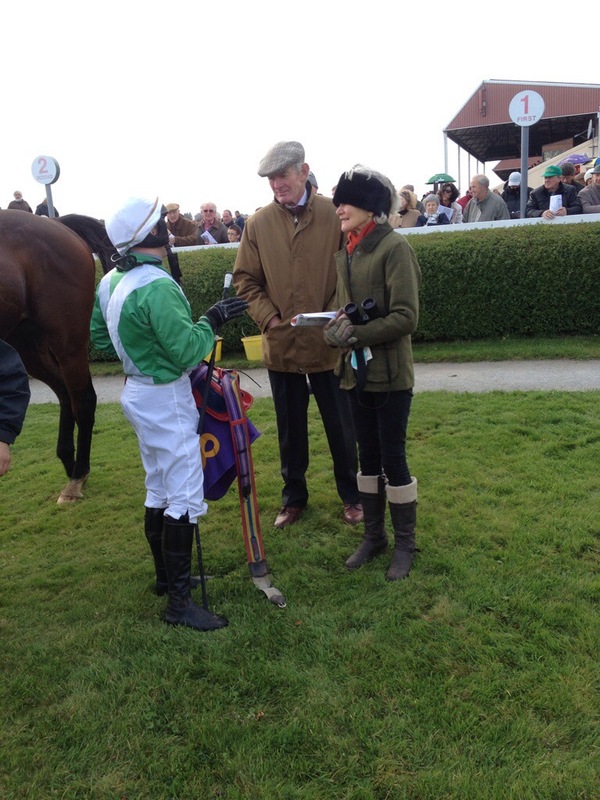 Owned by the Supreme Racing Club he opened his account at Ballinrobe under Patrick Mullins in a bumper in late July. If Mullins chooses to try him over hurdles here the pointer should be taken. Ashjar represents the same yard with the 4 year old son of Oasis Dream holding a winning chance. Mullins has declared the horse for the Waterford & Tramore Racecourse Directors Rated Novice Hurdle on Friday evening with Paul Townend in the saddle. The French bred has won at the track already this year and went on to win a race on the flat at Roscommon. He wont have it all his own way here as Henry De Bromheads , Damefirth and Gordon Elliots , Moss Street will be serious challengers. Tactics in this small field will be crucial and while the odds might not be lucrative, he may give a return. Marty’s Magic trained at Rosewell House Co Kildare by the globetrotting Dermot Weld runs in the famous colours of Dr Michael Smurfit. Made famous by Vintage Crop at Melbourne, Curragh and Newmarket, they might be seen in the winners circle at Tramore on this 5 year old Tale of the Cat gelding. A maiden in all codes Weld is probably the best trainer around to find a winning opportunity for a horse. Marty’s Magic has shown enough placed form to give the Curragh maestro a real chance of winning yet again in the sunny south east. Oscar Vespasian is a tentative enough choice to win for John Queally’s Co Waterford yard. With a declaration on the 15th and entries for the 17th the horse might just run twice, so hopefully he will win once! He has a bit of placed form with a third here in atrocious conditions in December. He looks like a horse that prefers a bit of nice ground. With Johnny Burke in the saddle he will benefit from his 5lb claim to reduce his topweight burden. Roman Numeral continues the Roman theme, as Vespasian was a Roman Emperor in historic times. Eoin Doyle has had the 6 year old Kings Best gelding in rare good form with wins at Kilbeggan and Tramore. Doyle may run him more than once but his first target is the Flynn Group Hotel Handicap Hurdle where he locks horns with Galway winner Beckwith Star. With both of them joint top weights they might be under pressure to hold on , so we will see. Everything Zain is our final letter for Tramore with the Dessie Hughes gelding holding an entry on Saturday. This Cape Cross 5 year old suffers a little from seconditis on the flat but he just could open his account here. Running in the trainers colours he could finally add another win to his name. Thats a letter for Tramore in seven easy steps! Enjoy!